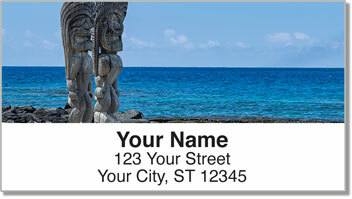 The traditional Hawaiian greeting of "Aloha" can mean either "Hello" or "Goodbye," but we mainlanders prefer the former in the context of our visits to the enchanted islands. 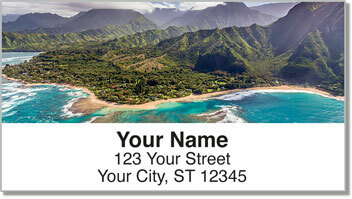 That is, we'd much rather say "hello" than "goodbye" to The Aloha State! 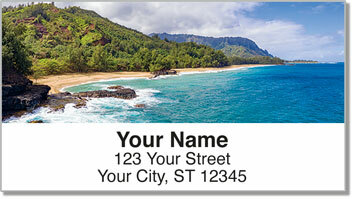 Now you can recall that paradise vacation any time you include your return address on a letter or package, thanks to Hawaiian Landscape Address Labels from CheckAdvantage. These handy, self-adhesive labels are the perfect home office accessory. They make quick work of readying yourself for a trip to the post office, but they're also a great way to mark books, CDs or other items as belonging to you. 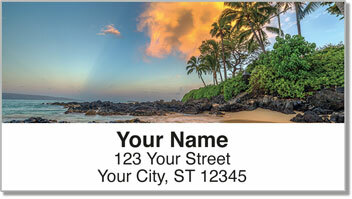 This design is also available as a set of matching Hawaiian Landscape Personal Checks. Order yours today!